The iPad is designed to be a wireless device so it lacks an Ethernet port for connecting directly to a router or network port. However, there are a few ways you can get around this and hook your iPad into an Ethernet network port or the back of your router. An easy way to accomplish this is to simply go wireless. If your primary need is to hook your iPad into a network where there is a port available but no Wi-Fi, use a portable router and an Ethernet cable as an alternative. These pocket-sized routers can be a great solution because they don't require a lot of other adapters to work. Simply plug in the wireless router and connect to the network. The ASUS Portable Wireless Router is about the size of a credit card and can turn a network port into a Wi-Fi hotspot. The ZyXEL Pocket Travel Router is also designed to be ultra-portable. These routers generally have a quick installation process that starts with finding the router in the Wi-Fi settings of your iPad. 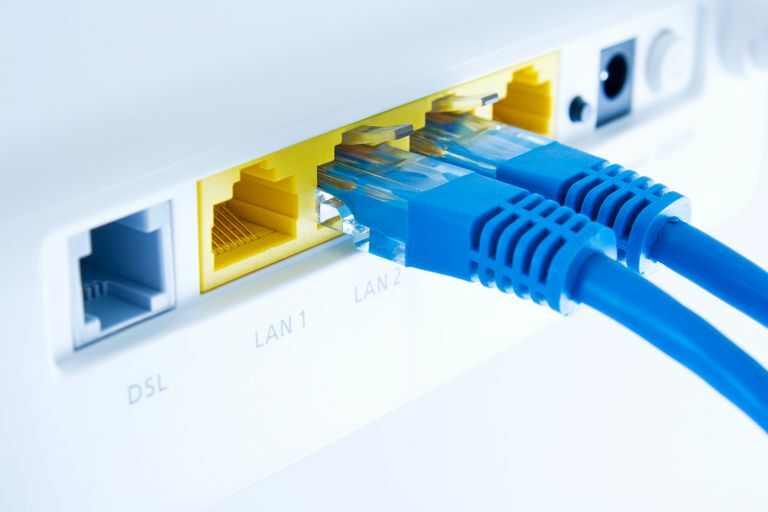 Once connected, you will go through a setup process that will allow you to create a secure connection. If you absolutely must go wired, use the Lightning-to-USB-3 adapter. Apple refers to this adapter as the Camera Connection Kit but it can connect any compatible USB device to the iPad. This adapter supports wired keyboards, MIDI devices, and, yes, USB-to-Ethernet cables. There are two big differences between the newer Lightning-to-USB-3 adapter and the old Camera Connection Kit. First, the newer adapter uses USB 3, which allows for much faster transfer speeds. Second, the adapter includes a Lightning port for the purpose of plugging into an electrical outlet so you'll charge your iPad while you use the adapter, and more importantly, it allows the adapter to supply power. This solution works best with Apple's USB to Ethernet Adapter with model number MC704LL/A. You may experience problems using the older USB-to-Ethernet adapter or using adapters from other vendors, although you may be able to use a workaround to get other cables to work properly. Connect the Lightning to USB 3 adapter into your iPad. Next, plug that adapter into a wall outlet using the Lightning Outlet Adapter that came with your iPad. After you have supplied power, hook the USB to Ethernet adapter into the USB 3 adapter and then connect it to the network using an Ethernet cable. Remember when we mentioned a workaround? The main problem getting the iPad hooked into Ethernet is the need for power. The iPad will not supply power if it is running on battery power, so the new Lightning to USB 3 adapter helps solve that problem. But what if you have the old Lightning to USB adapter? Or what if your USB to Ethernet adapter doesn't work well with the new Camera Connection Kit? Add a powered USB port to the mix. This workaround can be a little wonky, for lack of a better word. If everything is hooked up in the right order, it should work, but because this process involves doing something the iPad wasn't designed to do, it isn't guaranteed to always work. You will need a powered USB hub in addition to the USB Camera Connection Kit and the USB to Ethernet adapter. These materials may end up costing more than simply buying a travel-sized Wi-Fi router. After you've obtained all the requisite hardware, connecting your iPad is relatively simple. Before you start, turn off Wi-Fi for good measure and plug the USB hub into a wall outlet. Again, the process will not work without the hub supplying power. Can You Connect USB Devices to an iPad? You Bet.